Semi-annual sale season is here, and department store Macy’s is getting in on the action. Right now, shoppers can enjoy discounts of 25% to 75% off on select styles in a variety of departments, including: women, men, shoes, plus sizes, kids, for the home, juniors, kitchen, handbags, bed and bath, jewelry and dining. Through Jan. 10, customers can also use coupon code SALE to take an extra 15% off select sale and clearance-priced apparel or an extra 10% off select sale and clearance-priced watches, home and other departments. 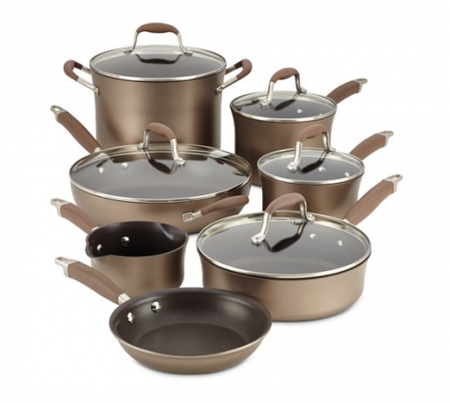 For instance, we spotted the Anolon Advanced Bronze Hard-Anodized 12-Piece Cookware Set on sale for $299.99 (regularly $349.99). Apply the promo, and you’ll get an additional $30 off. Visit the retailer’s website to browse all sale products for yourself. Remember, Macy’s offers free shipping with a qualifying $99 purchase.